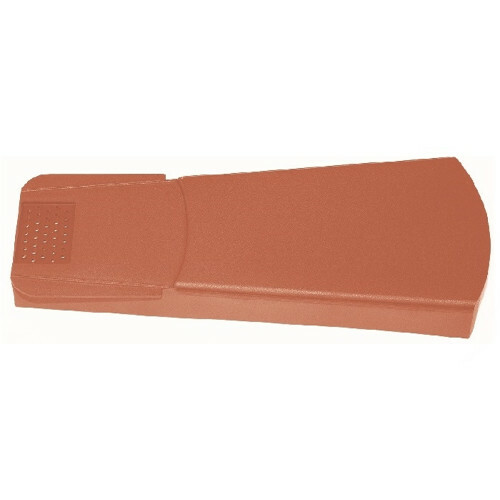 This terracotta dry verge section is used to cap over roof tiles at their exposed edges where the tiles are usually pointed. The tiles at these exposed ends have more wind and so need additional securing to ensure there are no roof problems. The dry verge caps over the tile and is secured to the fascia, protecting the edge of the tile and also helps to hold the tile down. This dry verge has been designed to fit on tiles slopping to the left or the right and for the various different types of tile styles, making it a universal dry verge system.